Tentative Agreement is Approved 97.1%YES/2.9% No. 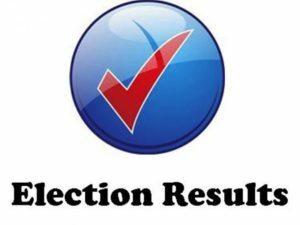 Voting for ratification of the Tentative Agreement has been completed and the results are posted below. If the Tentative Agreement is approved by the District’s Board of Education. The 2% retroactive pay will be included in the May pay date. In October, the 1% increase off schedule will be paid. Specific dates will be provided in April. The TALB Bargaining Team thanks all of the membership for their continued support. Bargaining Chair: Corrin Hickey – Lakewood H.S., Bargaining Members: Mark Ennen – Newcomb K-8, Donna Gerren – Roosevelt E.S. & Herrera E.S., Gerry Morrison – McBride HS, Maritza Summers – Mann E.S., Kevin Quinn – Edison E.S., John Solomon – MacArthur E.S., Sybil Baldwin – CDC, Maria Garcia – Head Start. Click here to download a printable copy of the voting results. 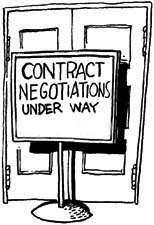 TALB and the District have reached a tentative agreement. Click here to download a printable copy of the Summary Details of Tentative Agreement Compensation & Contract Language. Click here to download a printable copy of the complete Tentative Agreement Between Long Beach Unified School District and Teachers Association of Long Beach, K-12. Click here to download a printable copy of Draft Traditional Calendars for FY 19-20, 20-21 and 21-22. March 21st – 4:30 p.m. to 5:30 p.m. all Member Q & A meeting @ TALB Office, 4362 Atlantic Avenue, L.B. March 26th – March 29th Voting – Deadline to vote, Thursday, March 29th @ 4:30 p.m.